June 21, 2018 UPDATE: The Supreme Court’s decision in South Dakota v. Wayfair, Inc. has expanded state and local governments’ authority to require online retailers to collect sales tax. Previously, the Court only allowed states to require sales tax collection by online retailers with a “physical presence” inside the state. In Wayfair, the Court discarded that requirement, calling it “incorrect” and responsible for “a judicially created tax shelter.” State and local governments will now have more authority to require out-of-state Internet sellers to collect sales tax, as long as collection is made simple enough that it does not impose an undue burden on interstate commerce. For decades, retailers without a “physical presence” within a state have been able to sell to that states’ residents without collecting sales tax. The outcome of that collection gap has been to create an unlevel playing field for local businesses, and significant strain on state and local tax revenues. Many observers expect that the Supreme Court will abandon its strict “physical presence” test in favor of allowing more sweeping sales tax collection requirements that also apply to companies not physically located within a state. While this issue has been growing in importance for many years, President Trump’s attacks on the nation’s largest e-retailer, Amazon.com, have heightened its visibility even further. The following ITEP analyses offer insights into a variety of aspects of this complex issue. Federal, state, and local lawmakers are likely to respond to the Supreme Court’s decision in Wayfair with a flurry of new legislation. This article outlines the likely next steps after the court announces its decision. President Trump has been raking Amazon over the coals because the company refuses to collect sales tax on the vast majority of its “marketplace” sales that it makes in partnership with other businesses. This criticism has merit, as Amazon has long dragged its feet in this area so that it can retain a tax-driven price advantage over local businesses. But it’s also ironic that the President would castigate Amazon for its approach to tax policy when the Trump-GOP tax plan bestowed hundreds of millions of dollars in federal tax breaks on the company. Is the Trump Organization’s Sales Tax Avoidance More Aggressive Than Amazon’s? Amazon is not alone in refusing to collect sales tax on many of its sales. In fact, the Trump Organization’s official retail store only collects tax in three states: Florida, Louisiana, and Virginia. The most flagrant example of non-collection is New York, where TrumpStore.com says it has a “flagship retail store” inside Trump Tower, yet refuses to collect New York sales tax on purchases made via its website. The Trump Organization appears to have taken a page out of Amazon’s playbook to avoid having to collect sales tax, and in fact seems to be using similar legal strategies in an even more aggressive manner than Amazon itself. 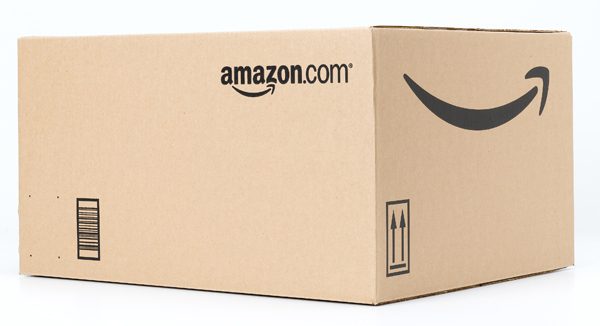 A new ITEP analysis revealed that in seven states (Alabama, Alaska, Idaho, Iowa, Mississippi, New Mexico, and Pennsylvania), Amazon is either not collecting local taxes or is charging a lower tax rate than local retailers. While this collection gap is troubling on its own, it also suggests that many localities are unprepared to reap the benefits of expanded sales tax collection authority that may soon be coming from the U.S. Supreme Court or Congress. After decades of waiting, state and local governments might soon have the authority to collect sales taxes on online purchases made by their residents, but some cities aren’t going to see a dime in new revenue unless state or local laws are updated. ITEP has recently criticized Amazon for avoiding all federal income taxes on its U.S. profits in 2017, and earlier this week an ITEP report documented how Amazon still does not need to collect many local sales taxes—though in fairness, the latter is not always the company’s fault.